If you go to a site like the National Day Calendar, you will see that there is a holiday for just about anything you can think of making a holiday for. While some of these are silly, the larger more well known holidays can be a great opportunity to get more customers through the doors of your business. While it would lose its effectiveness if you celebrated all of the silly or lesser known holidays, if there is one or two fun holidays that relate specifically to your business, then by all means latch on to it and create a celebration of your very own. Next week is a very important holiday. 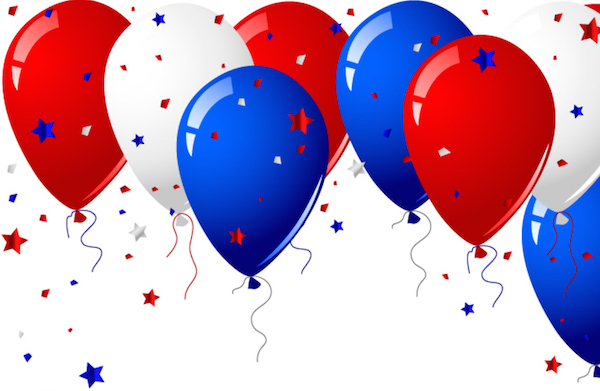 Have you thought about doing anything special to celebrate it for your customers? Depending on what your business is or does, you can get creative with the way you get involved and celebrate these holidays. Businesses that sell any product – select a few of your top products to sell at a discount for this day. This can be a flower arrangement, apparel, sporting goods; really anything you can think of can be given a special military discount. Make sure to research and remember the reason for the holiday when creating your campaign and marketing materials. For example, Memorial Day, is not just a day to eat hot dogs, apple pie and wave your flag; it is a day to remember all of those who have died protecting our country. While having fun is a part of this day, you should also be sure that you recognized the true meaning and have a piece of your marketing be directed toward remembering those who sacrificed. Create engaging marketing materials to send to the email list, post on your blog and share on social media both before and after your event, sale or special. Prior to the event be sure you get the word out about what your business will be doing or the specials you will be offering in honor of the day. Partner with other local businesses and create special offers for each others’ customers. Afterwards, be sure to post photos and/or comments and reviews from those that participated in your event or purchased some of the specials you were offering. Each holiday has its own special twist so be sure to utilize the traditions and customs that surround the holiday you will be celebrating. The ideas above for Memorial Day are some easy things that any business can implement in one way or another, but make sure you have fun with it and get creative! The important thing to remember is to honor and show respect for the reason behind the holiday. This is not a time for inappropriate jokes or slogans; this is a time for respect and honor even if the holiday does not reflect your culture or heritage. If you do not come from a background that celebrates a particular holiday then just “get your Google on” and find out its history, customs and how it has been celebrated in the past. Once you have all the information it is time to get creative with your marketing and how your business can join in and celebrate some of the various holidays! How have you celebrated holidays in the past to get exposure for your business? Share below. Let’s discuss.